One billion people from a vast range of races, nationalities and cultures across the globe -- from the southern Philippines to Nigeria -- are united by their common Islamic faith. About 18% live in the Arab world; the world's largest Muslim community is in Indonesia; substantial parts of Asia and most of Africa are Muslim, while significant minorities are to be found in the Soviet Union, China, North and South America, and Europe. Muslims believe in OneUnique, Incomparable God; in the Angels created by Him; in the prophets through whom His revelations were brought to mankind; in the Day of Judgement and individual accountability for actions; in God's complete authority over human destiny and in life after death. Muslims believe in a chain of prophets starting with Adam and including Noah, Abraham, Ishmael, Isaac, Jacob, Joseph, Job, Moses, Aaron, David, Solomon, Elias, Jonah, John the Baptist, and Jesus, peace be upon them. But God's final message to man, a reconfirmation of the eternal message and a summing-up of all that has gone before was revealed to the Prophet Muhammad (PBUH) through Gabriel. Simply by saying 'there is no god apart from God, and Muhammad (PBUH) is the Messenger of God.' By this declaration the believer announces his or her faith in all God's messengers, and the scriptures they brought. The Arabic word 'Islam' simply means 'submission', and derives from a word meaning 'peace'. In a religious context it means complete submission to the will of God. 'Mohammedanism' is thus a misnomer because it suggests that Muslims worship Muhammad (PBUH) rather than God. 'Allah' is the Arabic name for God, which is used by Arab Muslims and Christians alike. No. Together with Judaism, they go back to the prophet and patriarch Abraham, and their three prophets are directly descended from his sons - Muhammad (PBUH) from the eldest, Ishmael, and Moses and Jesus from Isaac. Abraham established the settlement which today is the city of Makkah, and built the Ka'abah towards which all Muslims turn when they pray. Muhammad (PBUH) was born in Makkah in the year 570, at a time when Christianity was not yet fuly established in Europe. Since his father died before his birth, and his mother shortly afterwards, he was raised by his uncle from the respected tribe of Quraysh. As he grew up, he became known for his truthfulness, generosity and sincerity, so that he was sought after for his ability to arbitrate in disputes. The historians describe him as calm and meditative. Muhammad (PBUH) was of a deeply religious nature, and had long detested the decadence of his society. It became his habit to meditate from time to time in the Cave of Hira near the summit of Jaba al-Nur, the 'Mountain of Light' near Makkah. At the age of 40, while engaged in a meditative retreat, Muhammad (PBUH) received his first revelation from God through the Angel Gabriel. This revelation, which continued for twenty-three years, is known as the Qur'an. The Qur'an is a record of the exact words revealed by God through the Angel Gabriel to the Prophet Muhammad (PBUH). It was memorized by Muhammad (PBUH) and then dictated to his Companions, and written down by scribes, who cross-checked it during his lifetime. Not one word of its 114 chapters, Suras, has been changed over the centuries, so that the Qur'an is in every detail the unique and miraculous text which was revealed to Muhammad (PBUH) fourteen centuries ago. There is no god worthy of worship except God and Muhammad (PBUH) is His messenger. This declaration of faith is called the Shahada, a simple formula which all the faithful pronounce. In Arabic, the first part is la ilaha illa'Llah - 'there is no god except God'; ilaha (god) can refer to anything which we may be tempted to put in place of God -- wealth, power, and the like. Then comes illa'Llah:' except God, the source of all Creation. The second part of the Shahada is Muhammadun rasulu'Llah: 'Muhammad (PBUH) is the messenger of God'. A message of guidance has come through a man like ourselves. I testify that Muhammad (PBUH) is the messenger of God. The annual pilgrimage to Makkah -- the Hajj -- is an obligation only for those who are physically and financially able to perform it. Nevertheless, about two million people go to Makkah each year from every corner of the globe providing a unique opportunity for those of different nations to meet one another. Although Makkah is always filled with visitors, the annual Hajj begins in the twelfth month of the Islamic year (which is lunar, not solar, so that Hajj and Ramadan fall sometimes in summer, sometimes in winter). Pilgrims wear special clothes: simple garments which strip away distinctions of class and culture, so that all stand equal before God. Islam sees a woman, whether single or married, as an individual in her own right, with the right to own and dispose of her property and earnings. A marriage dowry is given by the groom to the bridge for her own personal use, and she keeps her own family name rather than taking her husband's. There are an estimated 1.2 billion Muslims worldwide. No more than 20 percent of Muslims live in the Arabic-speaking world. The country with the largest Muslim population is Indonesia. Muslims believe in One, Unique, and Incomparable God. They believe in the Day of Judgement and individual accountability for actions. Muslims believe in a chain of prophets beginning with Adam and including Noah, Abraham, Ishmael, Isaac, Jacob, Joseph, Job, Moses, David, Solomon, and Jesus. God's eternal message was reaffirmed and finalized by the Prophet Muhammad (PBUH) (peace be on them all). 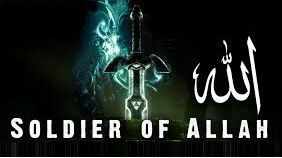 One becomes a Muslim by saying, "There is no deity but God, and Muhammad (PBUH) is the messenger of God." By this declaration, the person announces faith in all of God's messengers. The Quran is the record of the exact words revealed by God through the Angel Gabriel to the Prophet Muhammad (PBUH). It was memorized by Muhammad (PBUH) and then dictated to his companions. The text of the Quran was cross-checked during the life of the Prophet. The 114 chapters of the Quran have remained unchanged through the centuries. What is Sunni and Shia? Some people who follow some of the pseudo-scholars in Hijaz may beg to differ; that notwithstanding, what you see below is the view held by the overwhelming majority of Sunni scholars, and not just those at al-Azhar. Let it be known to those who strive to divide us, that their efforts are but in vain. Muslims must know this, and ought to refrain from unjust prejudice to any particular school of thought, since the religion of Allah and His Divine Law (Shari'ah) was never restricted to a particular school of thought. Their jurists (Mujtahidoon) are accepted by Almighty Allah, and it is permissible to the "non-Mujtahid" to follow them and to accord with their teaching whether in worship (Ibadaat) or transactions (Mu'amilaat). al-Sha'ab newspaper (Egypt), issue of July 7, 1959. Today, there have been 99 visitors (175 hits) on this page!